As a church, we are excited about what God is doing in the lives of the people who attend Redemption Church and what God is going to do in the future! Presently we are out of room! All of our education space is used and our worship service is full almost every Sunday. So, as a part of our plan to prepare for more growth, we are building a new facility on our new property on Hwy 434. God has blessed us tremendously with financial gifts over the past couple of years. 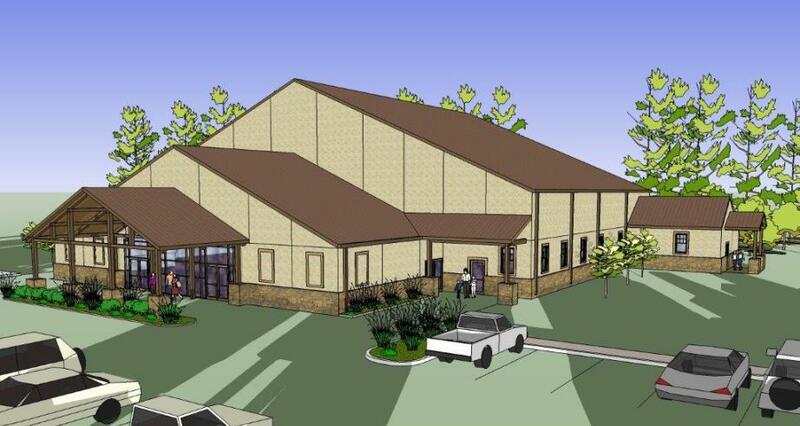 We are entering this building campaign in order to build this new facility as close to debt free as possible. As a church family, we are prayerfully considering how each of us can contribute above our normal financial giving in order to give towards this vision. Our financial commitments will not only be about giving to a new building, but about investing in the future ministry of the church. Our building campaign is rooted in Ephesians 3:20-21. We are giving “Together” so that people can be saved and for God to get the Glory. We don’t want the glory; we want God to get all the glory. We are giving so that we can continue to reach “all people.” We want to see people reached from all walks of life, ethnicities, and social statuses. Additionally, we are giving to this campaign so that we will have a place for future “generations.” This new building is not just about us but also for those who will come after us. If you’d like to hear more about the vision of this building campaign, you can do so by going to our Sermons tab on our website and clicking on the “Together” sermon icon. We want to ask you to prayerfully consider how you and your family can be a part of the Together building campaign. - Pray for God to continue growing our church and pray for a harvest of souls to be won to His Kingdom. *** If you want to make a commitment, please let the church office know either by phone or email so that we can add the information to our collective commitments. You can also make a contribution by going to our Giving tab on our website. Follow the instructions and select “building fund” to direct your giving for the Together Campaign. If you have any questions, please don’t hesitate to call the church office at 985-882-5682 or email us at: info@rclacombe.org. Thank you for your partnership in our Together We’re Building Campaign!